Feed high-quality balanced premium commercial food that is appropriate for the life stage and health condition of your dog. Check that it complies with the Australian Standard AS 5812:2011. Foods imported from the US must conform to AAFCO standards for labelling which are much more rigid. Energy (measured in calories or kilojoules) which your dog needs for muscle function for movement, a wide variety of bodily functions and to keep himself warm. Proteins and other nutrients for growth and repairing body tissues. Fats for energy and essential fatty acids. Vitamins, minerals and other micro-nutrients to regulate these processes. You can offer some natural foods to provide some variety including fresh human-grade raw meat (e.g. raw lamb), raw meaty bones and vegetables. Always check with your vet first that raw meaty bones are suitable for your particular dog (e.g. 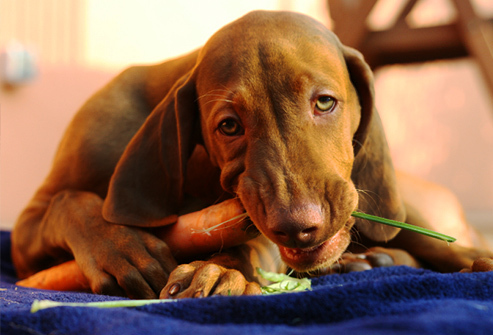 some dogs with misshapen jaws or dental disease may find chewing on raw bones difficult). Choose human-grade raw meat and raw meaty bones because some pet meat/pet mince/pet rolls/pet meat and bone products can contain preservatives that can be detrimental to the dog's health (e.g. sulphite preservative induced thiamine deficiency which can be fatal). However avoid sausages, sausage meat and cooked manufactured meats as they can contain sulphites. Raw meaty bones such as raw lamb ribs (not lamb chops though), raw lamb flaps and raw chicken wings provide several important health benefits including keeping teeth and gums healthy. However, too many raw bones may lead to constipation. Generally one or two raw bones may be offered per week with a few days in between each serving. 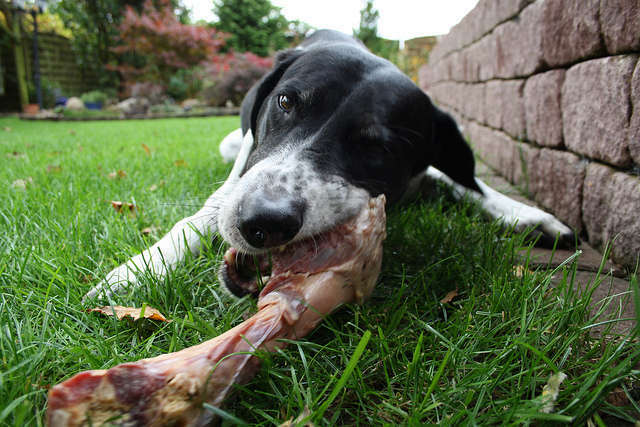 The bone must be large enough so that the dog cannot fit the whole bone in its mouth or swallow the bone whole and always supervise dogs when they are eating raw bones. Never feed cooked bones as these can splinter and cause internal damage or become an intestinal obstruction. Avoid large marrow bones (these have very thick outer rims), T-bones, 'chop' bones e.g. lamb cutlets, large knuckle bones and bones sawn lengthwise (as done by some butchers) as dogs may crack their teeth on these. Dogs ‘like’ bones very much and sometimes become protective. Do take care and discourage young children and others from approaching dogs that are eating. Dogs may be offered fish such as tinned sardines in springwater, tinned tuna and tinned salmon as a treat occasionally (care with any fish bones). Please avoid feeding fish constantly. Dogs may also be offered a small amount of cooked vegetables e.g. pumpkin, carrots etc. Cooked meat such as boiled chicken or lamb may be offered but ensure there are no cooked bones or onions/onion sauces or other toxic substances present. A small amount of cooked plain pasta/rice may be offered but again ensure there are no onions/onion sauces or other toxic substances present. 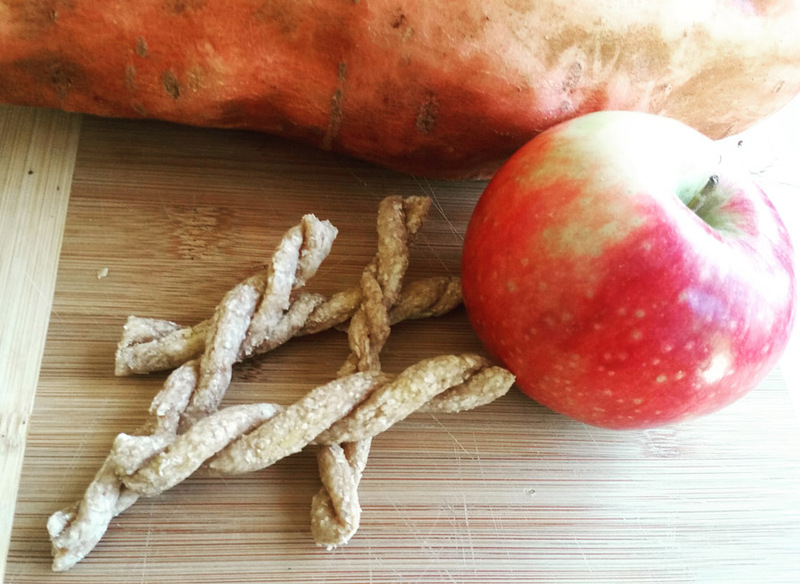 For more information, please read our post on "15 People Foods Your Dog Should Never Eat". 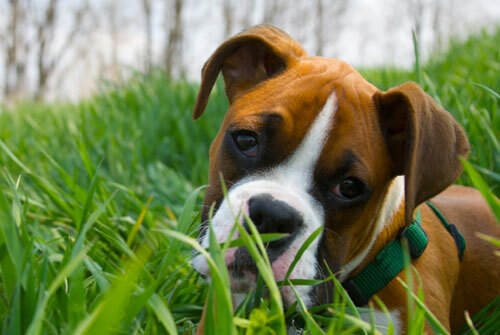 Provide access to grass (avoid chemically treated grass and toxic plants) - dogs will sometimes eat grass which may provide a source of vegetable matter and micronutrients. 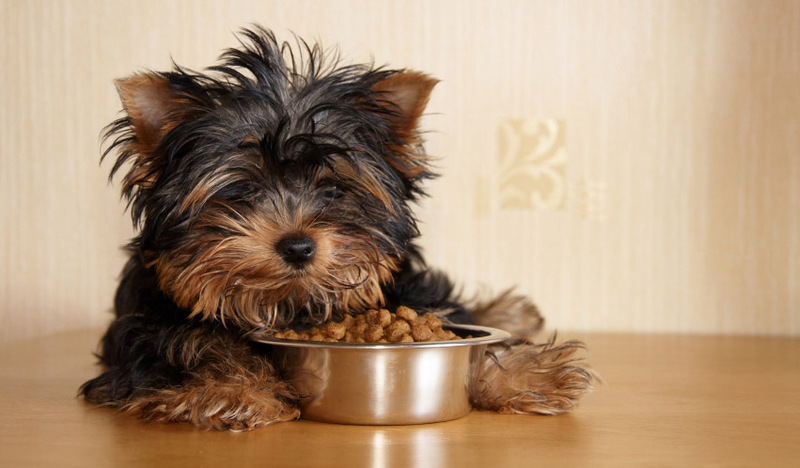 The amount of food required will depend on your dog's size, breed, age and level of exercise, but take care not to overfeed or underfeed. Your vet will be able to weigh your dog, assess your dog's body condition score and provide advice. 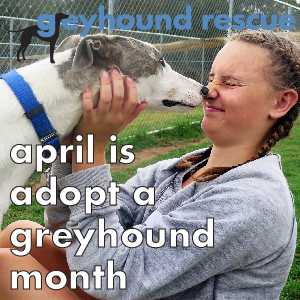 Adults dogs should be fed at least twice a day to help avoid canine bloat which can be fatal. Also, dogs should not be exercised immediately before or after eating, to avoid bloat, particularly deep-chested dogs. Fresh water must be available at all times. A number of Australian dogs have suffered from kidney problems after being fed particular pet treats. The toxin which causes the illness has not yet been identified and a number of treats from a number of manufacturers could be involved. Researchers have said that it’s difficult to pinpoint the particular treats involved because dog owners often feed several different treat brands to their dogs. Cases have been associated with some chicken jerky treats, pig’s ears and other porcine products in addition to some chew-type products, mostly but not exclusively of Asian origin. If you are using commercial treats, then it would be wise to limit these to occasional use, for example, a small treat once or twice a week. According to research, the illness is normally treatable with most dogs making a recovery if treats are removed from diets completely. But very occasionally more serious illness and death can occur.